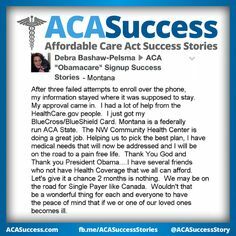 No matter who you are, thanks to the Affordable Care Act you now have more access to affordable coverage, better benefits, and lower costs. 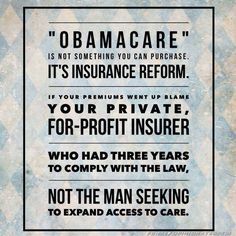 Are you uninsured, or do you buy your own insurance? If you don’t currently have health insurance, or if you buy a private plan on your own, the health insurance marketplace provides new options for you and your family. Millions of Americans will be eligible for financial assistance—and more than half of all uninsured Americans can get covered for less than $100 a month. You can choose the plan that’s right for you, and you can’t be denied coverage, no matter what. The health insurance marketplace is open now, and you can sign up anytime between now and March 2014. 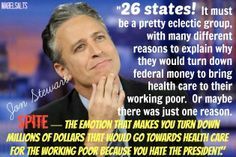 If you have health insurance, you’re already getting benefits because of Obamacare and you likely don’t need to do anything. 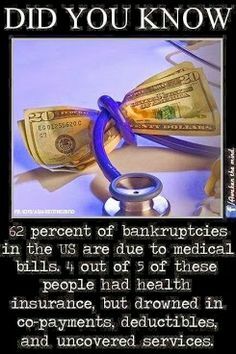 That includes free preventive care, like annual checkups, vaccinations, and mammograms. Insurance companies can no longer set lifetime limits on coverage, and starting in January people can no longer be denied coverage based on a pre-existing condition. Children and young adults can now stay on their family’s insurance plans until they turn 26. 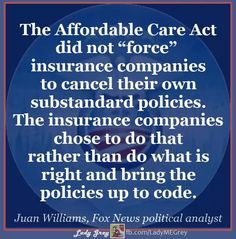 Opponents of Patient Protection and Affordable Care Act, commonly called Obamacare, are spending millions of dollars to try to confuse, mislead and scare Americans when it comes to the law. 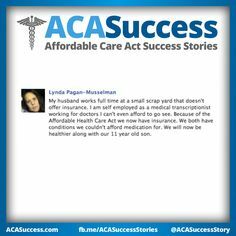 ACASuccess is a dedicated non-partisan volunteer organization that want to push back against the lies, myths, and misinformation with success stories and facts. Truth Team members have access to tip sheets, regular updates, and all the facts and figures you need to make sure your friends, family, and coworkers know the facts. 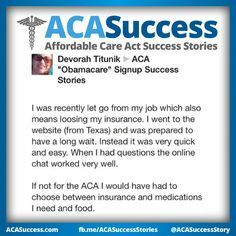 If you care about telling the real stories of the ACA, as we do, add your story today!